The idea of the controversial Veena Malik repenting for her sins on national television did not settle well with the awaam. 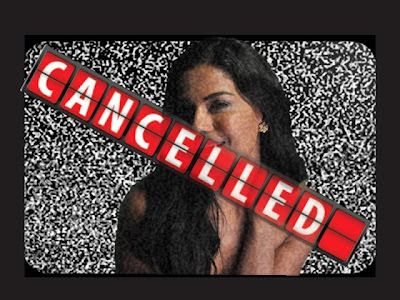 From internet petitions calling for the Pakistan Electronic Media Regulatory Authority (Pemra) to ban the show, which had been scheduled to air during the holy month, to comments on social media forums, the anger was hot and unrestricted. The furor and resentment around the show finally made the production team rethink their decision to air it. “Hero TV is for theawaam. If the awaam does not want to see Veena Malik on this Ramazan show, then we will cancel it,” said a member of the team, adding that they respect the wishes of the populace. Amidst the hue and cry around this controversial show, a few questions come to light. If Hero TV was “heroic” enough to take such an audacious stance (by inviting the notorious Veena on their sets) in the first place, why didn’t they simply stick to their guns and see it through? Some commentors suggest that it is a publicity ploy to garner attention for a channel that receives none at all. “What depths will the media plunge to next in the ratings game? Is there any hope for an informed, progressive and responsible media?” asks one irked commenter on The Express Tribune website. A Pemra official told us that he was just as baffled. “What do media owners want?” he asked, requesting anonymity. “Could they not find anyone else? If they want ratings, can’t they get scholars with good reputations instead of fuelling extremism by bringing such controversial figures on TV?” he asked, adding that Veena and other televangelists are “hypocrites”.